I'm no cricket fan, but if you have to watch paint dry, then Sydney is a pretty good place to do it, in the sunshine with a nice cool stubby. It's been really just awful being here throughout The Ashes. 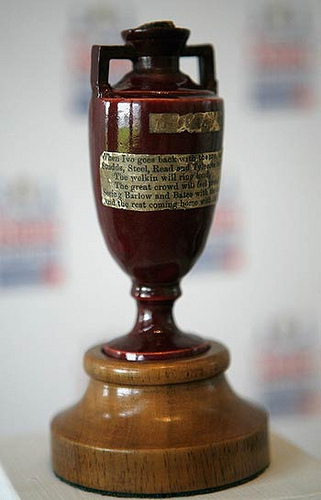 I hate gloating, I really do….and it's been breaking my heart seeing the Aussies get so upset with their abysmal loss. I have in no way mocked my colonial chums or taken the opportunity to rub their sunburnt faces in it. Neither did they try to drown me in the surf (Kit) or kill me in a freak fishing accident (Mark). Alrighty sport.